Come join us on track at Slinger Speedway because it’s your turn to experience the thrill of the Rusty Wallace Racing Experience!! 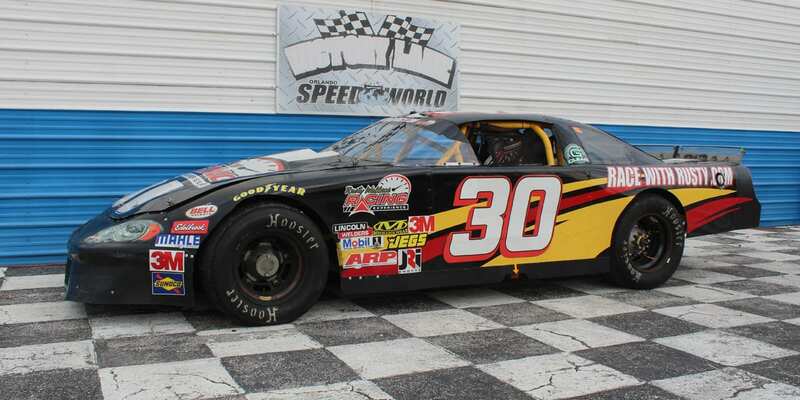 Choose your Slinger Speedway Driving Experience or Ride Along Experience to begin booking. If you’re giving as a gift or are unsure about a date, you can purchase a gift voucher and you or the recipient will have 90 days to return to the website or call 401-543-3278 and book a date. 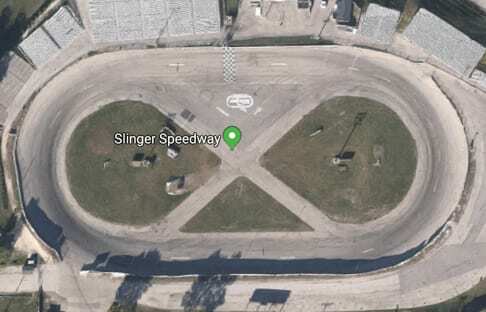 The Slinger Speedway (formerly Slinger Super Speedway) is a quarter mile paved oval automobile race track with 33-degree banked corners located in Slinger, Wisconsin. The track is billed as the “World’s Fastest Quarter Mile Oval.” The current track record was set by Jeff Bloom in a 410 extreme winged sprint car on August 21, 2010 at a time of 9.908 seconds. This is the first lap record under 10 seconds on a quarter mile oval track of any type, breaking Anderson Speedway’s 10.28 second lap record. Bloom’s lap eclipsed the track record set by USAC midget car driver Tracy Hines on May 17, 2008 at an elapsed time of 10.845 seconds. The lap was the fastest ever midget car lap on an asphalt quarter mile track. He eclipsed the long-standing mark of 11.095 seconds set by Tony Strupp’s late model on June 12, 1994. We send out email promotions for individual tracks as well as nationwide. If you would to be included for future promotions, please enter your email below. You will receive any email promotions for Slinger Speedway as well as Nationwide promotions. You can opt out at anytime. If you would like to receive specific promotions for any other track, please visit that track’s page and submit your email for that track.